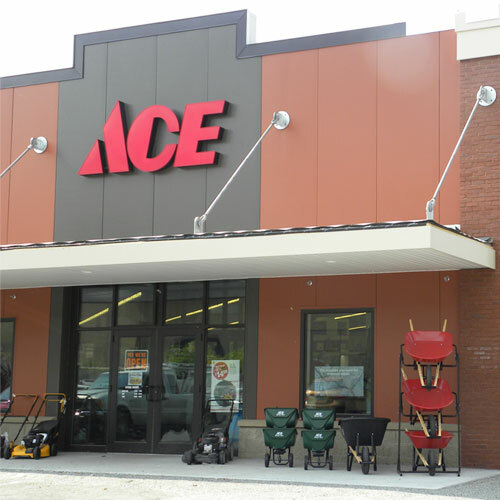 Buford Street Ace Hardware has been serving Cherokee County since June of 1968. Through those years many things have changed except for the fast friendly customer service you have come to expect from your locally owned hardware store. Buford Street is a unique store featuring a hardware store, gift shop and a U.S. Post Office all under one roof. Our store is 12,000 square feet of fully stocked shelves to serve you. Come visit our paint studio where we offer Valspar, Clarke & Kensington, and Cabot Stains. Don't forget plumbing, electrical, lawn & garden, hardware, fasteners and seasonal items like Christmas and Outdoor Décor. We also have Yeti Coolers, Carolina, Clemson and Limestone Collegiate items. Come see us today at Buford Street Ace Hardware 113 W. Buford St. in Downtown Gaffney. Or give us a call at 864-488-1506. Proudly celebrating 50 years of service.